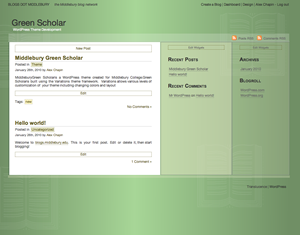 Green Scholar is a variation of the Translucence theme. It features a green patterned background from Middlebury College and is initially configured with two right sidebars. You can add add and remove sidebars in the theme options.